Several people have asked us to evaluate 4Health Puppy Food because they are interested in switching to this lower cost food. 4Health Dog Foods are sold exclusively by Tractor Supply and manufactured by the Diamond Company. There is a small amount of information on the Tractor Supply Website, but no site is devoted entirely to this line of food, so information is scare. Some of the information had to be obtained on an actual bag of food. 4Health foods include a variety of products, many labeled as grain-grain free. They make one dry puppy kibble formula which is the target of this review. Lamb, lamb meal, egg product, rice, millet, cracked pearled barley, pea protein, chicken fat (preserved with mixed tocopherols), potatoes, oatmeal, tomato pomace, ocean fish meal, flaxseed, natural flavor, salmon oil (source of DHA), potassium chloride, salt, choline chloride, dried chicory root, dried kelp, carrots, peas, apples, tomatoes, blueberries, spinach, dried skim milk, cranberries, rosemary extract, parsley flake, yucca schidigera extract, L-Carnitine, Dried Enterococcus calcium fermentation product, dried Lactobacillus acidophilus fermentation product, dried Lactobacillus casei fermentation product, Dried Lactobacillus Plantarum fermentation product, Dried Trichoderma longibrachiatum fermentation extract, vitamin E supplement, iron proteinate, zinc proteinate, copper proteinate, ferrous sulfate, zinc sulfate, copper sulfate, potassium iodide, thiamine mononitrate, manganese proteinate, manganous oxide, ascorbic acid, vitamin A supplement, biotin, niacin, calcium pantothenate, manganese sulfate, sodium selenite, pyridoxine hydrochloride (vitamin B6), vitamin B12 supplement, riboflavin, vitamin D supplement, folic acid. 4health Puppy Formula is formulated to meet the nutritional levels established by the AAFCO Dog Food Nutrient Profiles for All Life Stages. This means that this food could be served to dogs throughout their lifespan. We use Sara Irick’s Sale to do the initial analysis for the 4Health puppy food review and then look at the Guaranteed Analysis, Ingredients List, and Company Information to provide greater depth to our reviews. To do the 4Health Puppy Food Review, we start with 100, then add or subtract points for various components of the food. We use the guaranteed analysis panel to assess some of the nutritional value of the food. The figures are given in “as fed” basis. This means that the nutrient content of the diet is measured without accounting for the amount of moisture or water. We convert the figures to a “Dry Matter Basis” to make it easier to compare. Remember when looking at these figures, they represent maximum and minimum quantities not the actual amount. There is a decent amount of Protein and Fat in this food, however there is no way to determine how much of the protein was animal or plant based. Examining the first five to seven ingredients will give us a little more information on the quality of the food. The food contains four sources of animal protein: Lamb, Lamb Meal, Egg product, and Ocean fish meal. While Lamb is listed as the first ingredient, it is likely to contain too much water to add substantially to the total protein content. Meals are always more concentrated and deliver more protein. Watch out for any foods that do not specific the type of meal such as poultry meal or meat meal. Egg product is also an excellent type of protein. The Ocean fish meal is rather vague. It is presented in meal form rather than fresh so will contain more protein. It is included far down on the list, so the actual quantity is questionable. Some of the fat in the food will come from the lamb and lamb meal, but a significant source of fat in the food comes from the chicken fat (preserved with mixed tocopherols). This is a real named source of fat. It’s high in omega-6 fatty acids and it’s a favorite fat in many dog foods. Mixed tocopherols are a form of vitamin E, so this is a natural preservative. When doing a review, it is important to look at ingredients. Let’s look at the first seven ingredients. Usually ingredients prior to the first fat source are the most abundant in the food. The first seven ingredients are Lamb, lamb meal, egg product, rice, millet, cracked pearled barley, pea protein, and chicken fat. A whole lamb is the heaviest and you would presume that it contained the most protein. This is not true because fresh whole meats are up to 70% water. The lamb meal, or second ingredient is likely to have more protein. Egg product is the cooked and dried egg minus the shells and other non-egg material. It is a high quality, highly digestible source of protein. Rice is the fourth, a source of carbohydrates and Millet is another grain and carbohydrate source. It is highly nutritious, gluten-free and easy to digest. Cracked Pearled barley is a whole grain with 50% more protein than rice. It helps control blood sugar and provides that feeling of fullness after the meal. Pea Protein is a concentrated protein source and adds to the total amount of protein found in the food. *Chicken Fat is frowned upon by the Sara Irick’s Scale, but it is actually a high-quality ingredient and I have begun add back any points food loses due to the inclusion of Chicken Fat. When doing this 4Health puppy food review, I wanted to determine where the food was manufactured and where the raw ingredients obtained. The Tractor Supply site did say it was manufactured in the U.S., but there was very little information about supplies, whether any of the ingredients were organic, or if they were human grade. This food is manufactured by the Diamond Company and is somewhat like the Diamond Brand Natural Puppy Food except for the initial protein source. Diamond has had several recalls, and the 4Health blends were part of a 2013 recall. Bags that said Best By Date prior to 4-7-2013 were the ones involved. Even though they were part of the Diamond recall it was found that none of the 4Health products tested positive for Salmonella and no illnesses were reported. 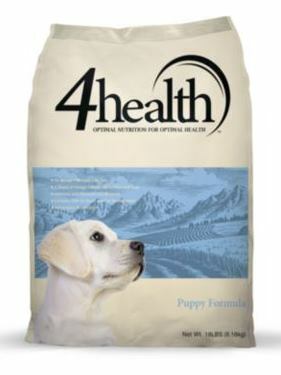 The 4Health label is available exclusively through Tractor Supply and includes a variety of grain free blends, adult, puppy, performance and others. Since it is only offered through Tractor Supply stores, it may be food that is unavailable for many people. The current cost in USD is approximate $1.06 to 1.40 per pound, making it a very reasonably priced food. I am unable to taste test all foods I review on Small Dog Place, but this is one that I could because I live in close proximity to a Tractor Supply Store. Since the AAFCO statement stated that the food was appropriate for all stages, I taste tested the food on very young puppies, adolescents and adult dogs. They all seemed to like the taste of the food if I added water to the food to moisten and soften the kibble. The addition of water assures that the dogs are getting enough hydration, but defeats the purpose of feeding a dry kibble. 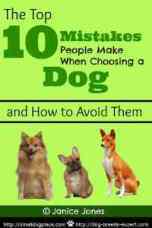 Some but not all of the dogs would eat the kibble straight from the bag, at least initially. 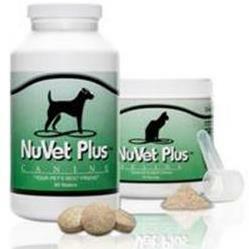 This is a quality puppy food with decent ingredients and an attractive price. It is distributed by Tractor Supply so it may not be available to everyone. Being produced by the Diamond company, 4Health products have received some bad publicity due to recalls, even though no food was found to have tainted ingredients. Much of the protein found in this food is of plant origin, so if you are looking for food with less plant and more animal sources of protein, this product may not be enough. No one food is perfect for every dog. While this is a high-quality food for puppies, only the owner can be the ultimate judge. You will know whether food is right for your dog if he loves to eat it, has regular stools of normal consistency, enjoys health and vigor and has a shiny coat and healthy skin.